This is an account of British rule in India. It is the remarkable story of how the British made themselves masters of the subcontinent in less than a century, and then ruled it for a further century before departing in 1947, leaving behind the independent states of India and Pakistan. British rule taught Indians to see themselves as Indians, and its benefits included railways, hospitals, law, and a universal language. But the Raj, outwardly so monolithic and magnificent, was always precarious. Its masters knew that it rested ultimately on the goodwill of Indians. The subject is one rich in incident and character; the India of the Raj was that of Clive, Kipling, Curzon, Gandhi, and a host of lesser-known figures. The author aims to shed new light on Mountbatten and the events of 1946-47 which ended an exercise in benign autocracy and an experiment in altruism. 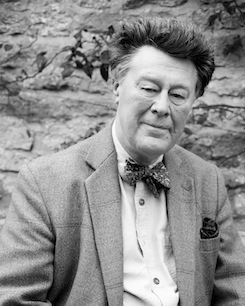 "James’s writing is always full of energy and animation; he has an excellent eye for revealing detail, and yet is not afraid to attempt the broad, magisterial sweep ... RAJ makes gripping, opinionated reading: it is a great story, after all, and Lawrence knows how to tell it. It is certainly a far cry from the turgid academese of most modern accounts of the period, and in its sheer scale and ambition represents a terrific feat of research and compression"
"A vast and accomplished survey of the different stages of Britain’s dominion. It combines the virtues of old-fashioned narrative history, humanising leading characters with brief descriptions of appearance and background, with a knowledge of recent scholarship and a judicious deliberation of evidence. 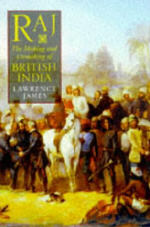 As a military historian, James is especially good on the frontier and the campaigns which forged the empire, but he is also impressive on the workings of the Raj, its relationship with the princes, and the progress of Indian nationalism. One of the great merits of the book is its sense of balance. James is neither an academic carper nor a Blimpish apologist ... The pages on the massacre at Amritsar, which since Attenborough’s film has come to symbolise British rule in India, show James’s impartiality at its best"
"A splendid, bone-shaking charge through an episode of our history that only humbugs can look back on without some degree of wonder ... This is a subject historians tend to deal with in chunks, either sawing it in half ... or homing in on specific episodes à la Jan Morris. In opting for the tell-it-all-in-one-volume approach James takes an awful risk: that he succeeds in avoiding generalities and loss of detail is a measure of his skill as a storyteller"
"A rollickingly readable military and political history is only enhanced here by James’s alertness to the very different ways in which redcoat rule was experienced by both sexes and all sides"